When we launched the festival back in 2014 (remember that? ), we made a conscious choice to focus on more than just music, or food, or craft. Instead we poured our energy into creating a festival full of powerful, memorable and -most importantly- FUN experiences. We’ve had boom and bust, mindless consumption and enforced austerity. And interesting things have come out of that austerity; a retreat to values and fashions that seem to encapsulate simpler times, the good old days. We’ve found ourselves yearning for the more honest and straightforward world enjoyed by our parents and grandparents. Superficially, this has meant that bicycles and baking, beards and tweed, vintage style and gardening are now more popular than ever; on a deeper level it has meant that millions of people are returning to craft as a source of solace and comfort, that more people than ever want to get outdoors, to discover and consume things that are made with passion by small business. People are trying to discover what makes them truly happy. At its core this movement can best be defined, perhaps, as The Search for The Good Life; a life that’s fulfilled and considered, yes, but is also fun and values the things that matter... family, friends, a real connection with The Great Outdoors, proper food and drink, discovery, music that comes from the soul, great books, craft. All the things that don’t cost a great deal but that make life richer, more rewarding and better fun. It was an ongoing discussion about The Search for the Good Life that led four friends -broadcaster, musician and writer Cerys Matthews, record industry and arts consultant Steve Abbott and retailers, farmers and authors Charlie and Caroline Gladstone- to create The Good Life Experience, a festival with a difference. The idea was simple, to create a festival unlike any other, one that was curated entirely by the founders. SO, WHAT IS THE GOOD LIFE? If it fits in with the founders' idea of The Good Life, it features at the festival; great food, axe throwing, campfire cooking, mass sing-a-longs, comedy, beer served by experts, talks by explorers, raucous music, abseiling, a 1930s fairground, butchery displays, poetry, literature, endless How To… talks. Everything is aimed at adults and children alike. Tickets to The Good Life Experience are on sale now. Our site is now closer to both Hawarden Old & New Castles, with events taking place in both. Alongside talks and demonstrations in the castle gardens, lake, woodlands and wider parkland. This has made TGLE one of Britain’s most beautiful festivals while retaining our unique mix of talks, craft, food, music and outdoor activities. You can head to TGLE for two or three nights of The Good Life. Or you can head here for the day and night of Saturday. 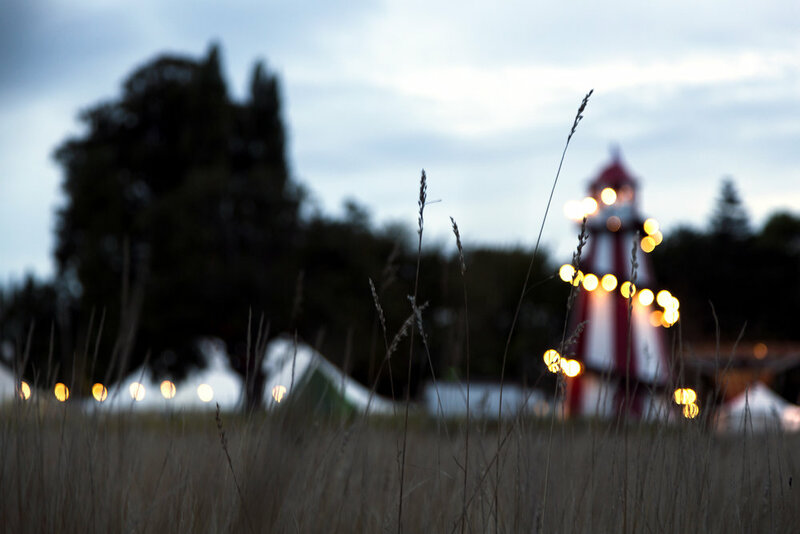 Camp or stay off-site, book a glamping pitch or bring the campervan. The choice is yours. When we started this festival we had two simple aims; to create something truly unique and to try our very hardest to do things really, really well. So that's the story of how we got here. Stay tuned for line-up announcements, site updates, latest news, pictures and videos of festivals past, and a whole lot more. Sign up for our weekly newsletters and we'll email you once a week to keep you in the loop of all the latest TGLE goings on. We'll never share your information with third parties. And we'll always try our best to bring a smile to your face. You can unsubscribe any time. Head to our FAQs page, drop us an email via info@thegoodlifeexperience.co.uk or give us a call on 01244 784122.